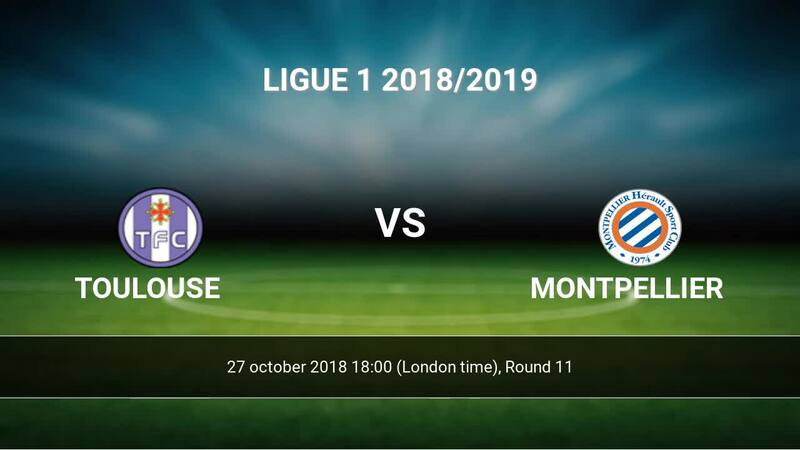 Match Toulouse-Montpellier Ligue 1 the fixture is set to kick-off today 18:00 on Stadium Municipal. Refereee Karim Abed. Team Toulouse is located in the middle of the table. (9 place). Toulouse in 5 last matches (league + cup) have collected3 points. Toulouse did not win the match from 6 games. Leading players Toulouse in Ligue 1 is: Max-Alain Gradel 3 goals, Mathieu Dossevi 2 goals, Aaron Leya Iseka 2 goals. Most assists in the club have: Max-Alain Gradel 3 assists, Mathieu Dossevi 1 assists. Team Montpellier is at the top place in the table (4 place). Form team looks like this: In the last 5 matches (league + cup) gain 11 points. From 2 matches away can't win a match. Montpellier has not been defeated from 9 matches. The best players Montpellier in Ligue 1, who scored the most goals for the club: Andy Delort 4 goals, Gaetan Laborde 3 goals, Ambroise Oyongo Bitolo 2 goals. Most goals developed: Andy Delort 1 assists. Injured players Montpellier: Keagan Dolly. Direct matches: Montpellier won more direct matches. Toulouse won 7 matches , Montpellier won 8 direct matches, was a 11 draws. In 7 matches the sum of the goals both teams was greater than 2.5 (Over 2.5), and 16 matches teams scored more than 1.5 goals (Over 1.5). In 12 matches the both teams scored a least one goal (Both teams to score).